Cabo San Lucas and San Jose del Cabo, Los Cabos, Baja California Sur, Mexico. 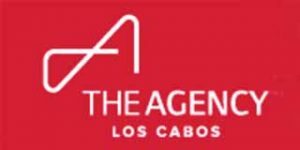 The listings for Los Cabos real estate brokers and businesses in Cabo San Lucas, The Tourist Corridor, and San José del Cabo, Los Cabos, was too large for one page. These real estate broker listings are now displayed on four pages in our section for Los Cabos Real Estate Brokers Featured and General Listings. This page shows real estate brokers listings P to Z. The premiere private, residential community in Cabo San Lucas, Baja California Sur, Mexico. Growing steadily for almost thirty years, it represents the best of the Old World and all that’s new. Breathtaking views, cobblestoned streets and modern amenities, old class restaurants and sports, as vell as privacy and a casual, tropical lifestyle, all are part of owning a Pedregal property. Camino a la Plaza, #145. Real estate sales direct from the developer, including re-sales, escrow services and closings. Phone: 143-0202, 143-0313; Fax: 143-1348,US PH: 1-866-805-4938.. Mon-Fri 8:30 am-6 pm; Sat 9 am-1 pm. Office in Cabo San Lucas. Penelope Lash – Real Estate Sales – Broker Owner Cortes Pacifico. A Collection of Exclusive, Custom Residences Naturally Secluded on the Sea of Cortez. Playa de La Paz is the life’s work of visionary developer and builder Jeffrey Curtiss. Designed by Guadalajara based architect Gerardo Ulate under the supervision of Curtiss, Playa was ALSO created with the support of Canadian architect and interior designer Alex Chapman. Is the ideal site for living, where the sea breeze relaxes its residents and turns everyday life into a magical experience. Libramiento de Cabo san Lucas km 1.2, lote 3 Col. El Arenal, Cabo San Lucas, Baja California Sur. Phone: (624) 143 59 21 | (624) 143 59 2124. Let the sound of the waves breaking on the shore become the backround music for your life. Step into the extraordinary world of Puerto Los Cabos, a 2000-acre master planned oceanfront resort destination where age-old traditions for gracious living meet lavish, modern comforts and amenities. Is a collection of planned luxury estates to be built within the gated, community of Cabo Colorado. Located between Cabo Real and Palmilla. US Toll Free # 866-648-2666 | Phone: (624) 143-1164 | Cell: (624) 132-3445. Tourist Corridor, San Jose del Cabo, Los Cabos, Baja California Sur, Mexico. 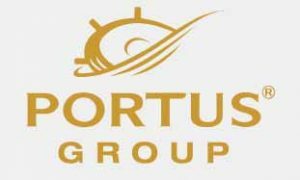 Is a company based in Los Cabos, Mexico, specializing in providing consulting services for the creation of master planned resort communities and golf complexes throughout Mexico. Alvaro Obregn 1-D Marina Plaza. San Jose del Cabo, Baja California Sur, Mexico. Ph: (624)130-7781 | Fax. (624)130-7782 | Ph: U.S.A 011-52(624)130-7781. 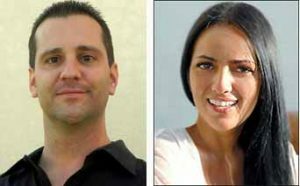 Professional real estate agents Brandon Byrne and Bibiana Silva’s sole goal is to help people like yourself find the perfect place to call home. Brandon was born and raised in Los Angeles, California in the media capital of Burbank. After completing his education, he jumped right into the workforce working in sales and consulting. Bibiana was born and raised in Montevideo, Uruguay, with an adventurous spirit, fed by years of trips to many of the world’s greatest destinations. The Windermere Real Estate Promise to YOU! Whatever your real estate needs, WE can help you reach your goals with confidence. While visiting our website, you can access the most current real estate data and search for homes throughout Cabo San Lucas and the surrounding areas. Windermere Los Cabos Mission Statement: “Paradise at the right value.” That’s the promise of Windermere, one of the most respected names in North American real estate, with over 100 years of combined experience in Los Cabos. We represent the best interests of our clients, whether buying or selling… And when the time is right, feel free to contact us. Plaza Paseo Los Arcos, Suite B-6, Col. Cabo Bello, 23455 Cabo San Lucas.